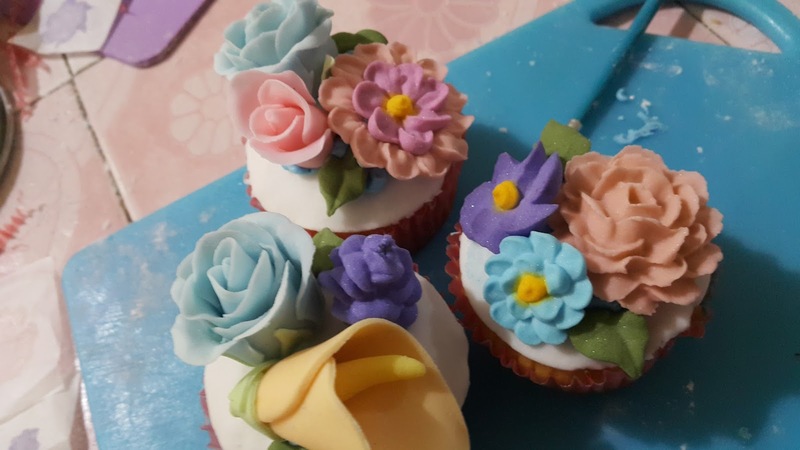 You can now attend 2 day cake decorating classes just in case you only want to learn Buttercream or Gumpaste etc., Pick any of the the 3 principles and get started with your creative side. You will be surprised as to how artsy you can get after just one day. 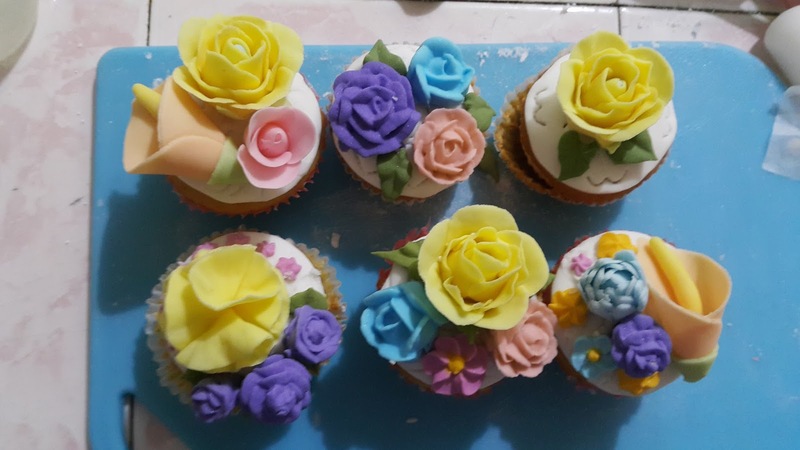 Here’s the class on Buttercream, Royal Icing and Gumpaste with Fondant. Please see schedule at www.breadmakinglessons.com and email me at sherqv17@gmail.com. You can also text me at 09495705091 for details. 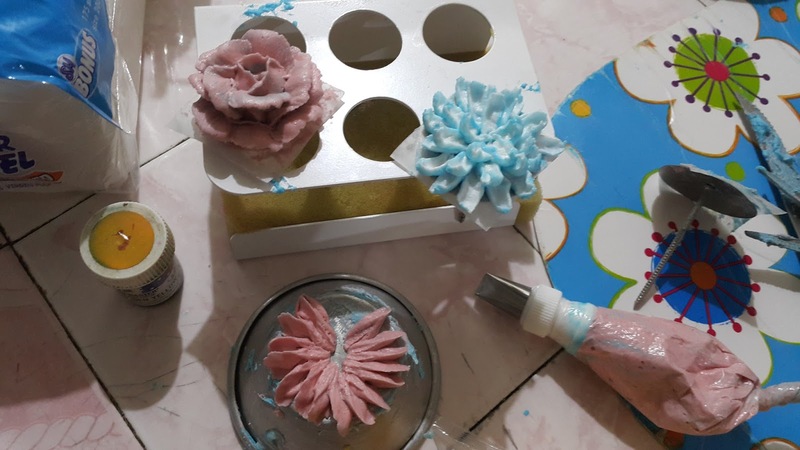 If you take the 3 day class then you get a discount by paying only P7500.00. 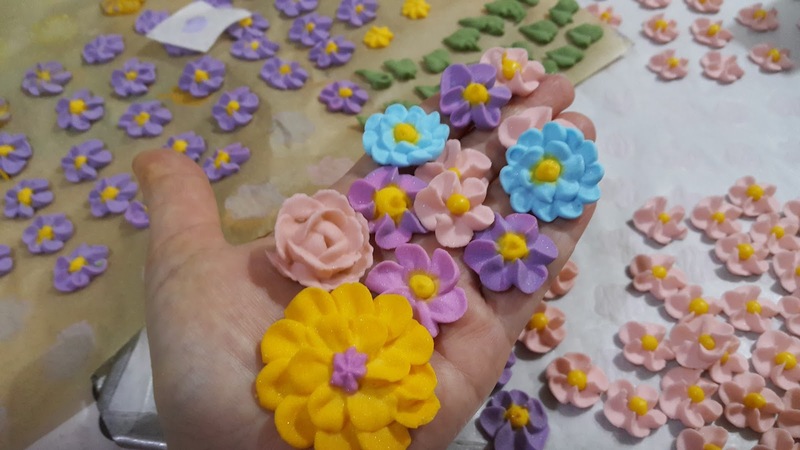 Edible flowers at the palm of my hand. Love it!!! Please bring a placemat to class. 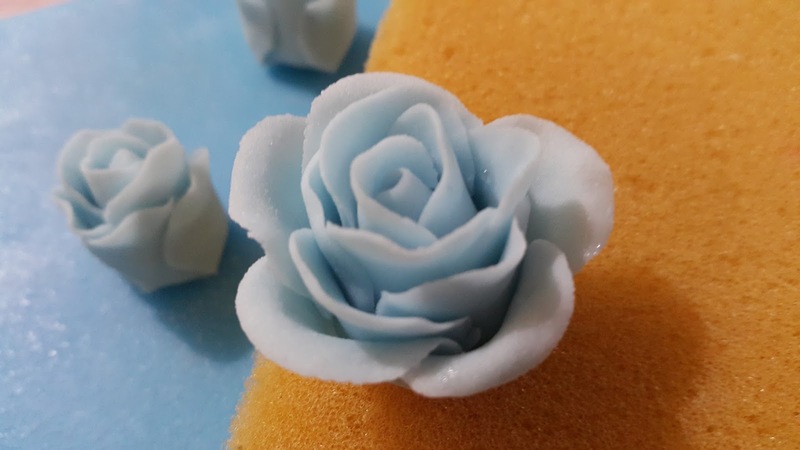 You will pipe the royal icing flowers on top so they won’t stick. Easy lift off. 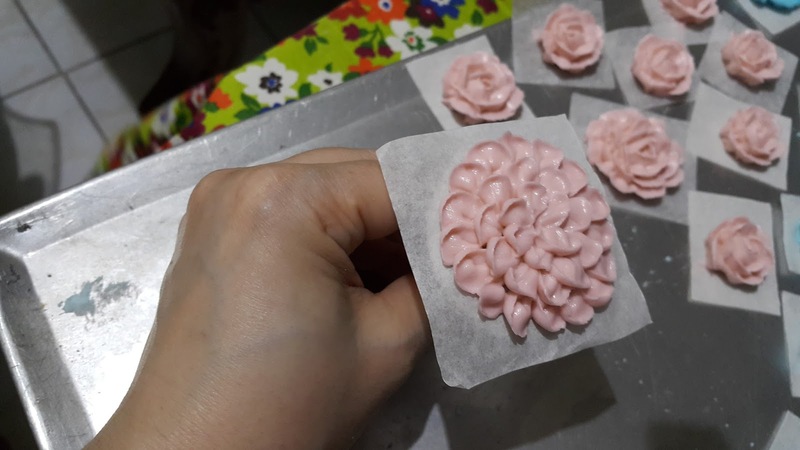 My student did this, first time to handle gumpaste and she was amazed she can do this. 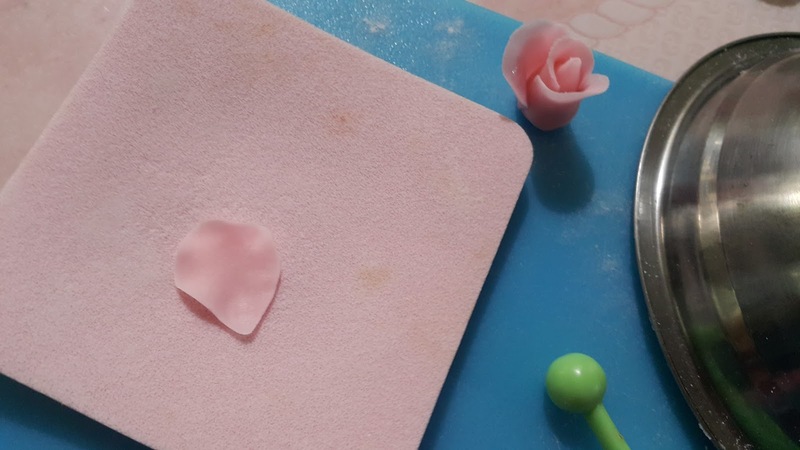 You also need the chopping board shown here to roll the fondant and gumpaste. If you don’t get the consistency right, you won’t get thin petals for your Roses. Hope to see you in my class. !